American boxing legend Muhammad Ali was laid to rest on Friday in his hometown of Louisville, Kentucky, USA, and while former mayor of Georgetown Hamilton Green wished he was there to witness the moment, he holds indelible memories of the champ’s visit here in 1979. Muhammad Ali (seated, centre) poses with guests at a reception held in his honour at Hamilton Green’s home in 1979. 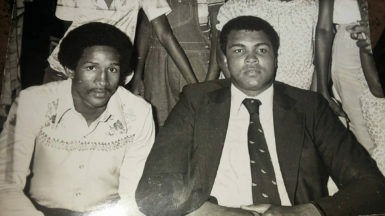 “That visit I tell you was parallel to a State visit… but I think everyone in Guyana, who was here during that time, would remember that he was so down-to-earth and fitted right in… with humour and charm,” said Green, who was then Minister of Labour and played an integral part in bringing the boxing great to this country in April 1979. 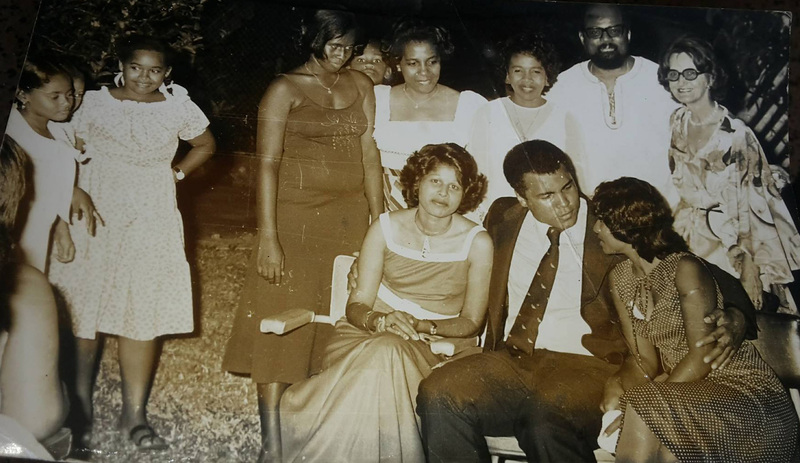 Green sat down with Stabroek News at his Meadowbrook home—where his now deceased first wife Shirley Field-Ridley had held a reception in Ali’s honour—and reflected on the champ’s trip here. “That visit was unlike any other. 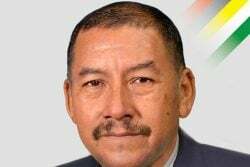 He thought LFS [the late former President Linden Forbes Sampson Burnham] was an important international figure and while this was just a small country he wanted to come, yes he wanted to come. He was intrigued,” Green said. Muhammad Ali (right) with a fan at a reception held in his honour at Hamilton Green’s home in 1979. “I was in close contact with the Nation of Islam during that time and he was a devout Islamic follower so he planned the visit, that he would come here and then go to neighbouring Suriname,” he added. Green said the then government did not anticipate the number of Guyanese who were Ali fans and this was reflected by the huge turnout at the airport during the wee hours of the morning, to welcome their hero. 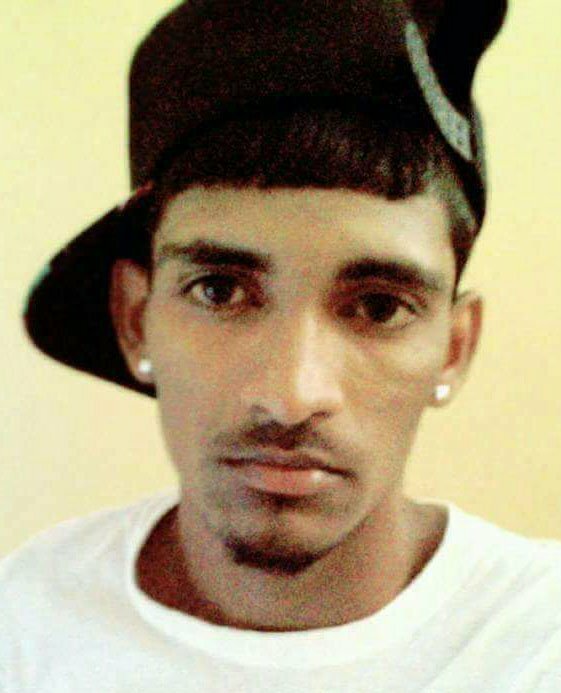 The Timerhi Airport was not the only place that had throngs of persons as fans from villages along the East Bank Demerara road stayed awake to line the road all the way to the city. “Oh goodness, people! If you saw people, man it was something. Speaking here about it cannot do justice. But I must tell you that man was more than a sport figure and pugilist. He was a people’s person, humanitarian, teacher, yes, he was very intelligent. 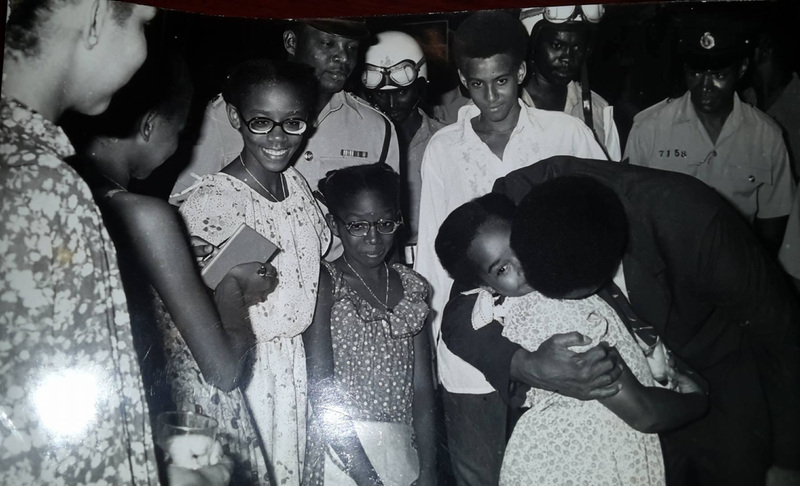 He was everything and he ensured he met as much of his fans as possible before travelling down,” the one time People’s National Congress (PNC) minister of government related. Ali stayed in Georgetown and while he visited Berbice and many other places, attending several events, for Green, the two most memorable events were Ali’s “live butterfly” presence at the reception at his home and his departure. “He had everyone in my home here in stitches… He was full of wit and humour, which made me know he was excitement in and out of the boxing ring… I can’t remember his jokes but even the smallest child was mesmerized. That man was something else,” Green chuckled. he was really scared of travelling on it. He held on to me and I assured him it was safe, so if anything had happened to him, imagine how I would have felt,” Green recounted. An ardent admirer of Ali, Green has several photos hung in his home featuring the boxer at different events. He holds dear one photo with him at Caesar’s Palace among Ali’s entourage, although he could not remember which fight it was that he had attended then. “For me Muhammad was not just a legendary boxer. Don’t get me wrong, I enjoyed his matches, from how he teased his opponents to his prowess in the ring, but I see him as a social and political figure who fearlessly stood up for his principles. 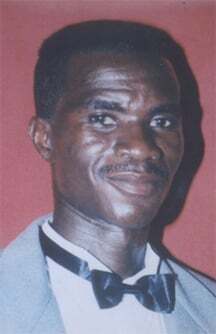 A man who abhorred war and persons settling disputes through it,” Green asserted.